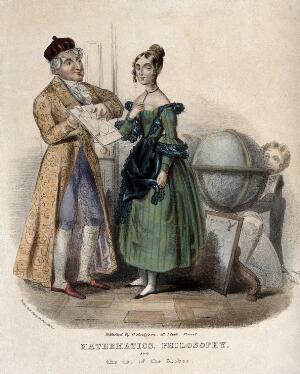 A middle-aged man giving a geometry lesson to young woman, a young man [her suitor?] hides behind a large globe. Coloured lithograph.